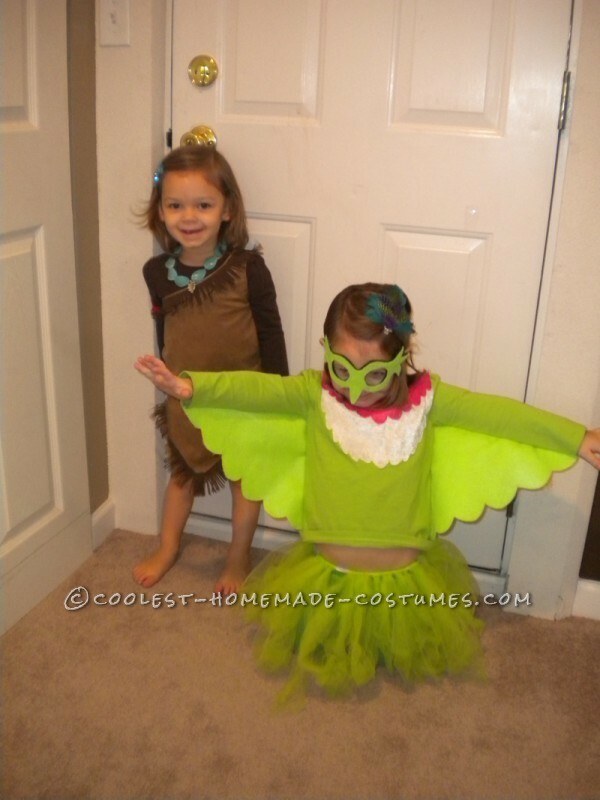 While watching Pocahontas, my four year old daughter decided she wanted to be the hummingbird, Flit for Halloween. Easy enough, but I felt like no one would know what she was! Good thing her siblings are still young enough that I get to pick their costumes so enter; Pocahontas and Meeko. I just dabble in sewing so I decided to begin with shirts for the girls’ flit and Pocahontas costumes and a hoody for my son’s, Meeko costume. For the flit costume, I used pink and white crushed velvet (who knew how hard it was to scallop velvet?!) for the chest and green felt for the wings and pieced them all together with fabric glue. My daughter told me she needed a tutu so after reading a few tutorials, I knotted yard after yard of tulle. For Pocahontas, I sewed the dress to the best of my abilities and we glued that to the t-shirt and added some fringe. After a few minor burns from the glue gun, we had feather clips for the girls’ hair. Jewelry is one thing I know so I put together some string and beads and out came the Pocahontas necklace. 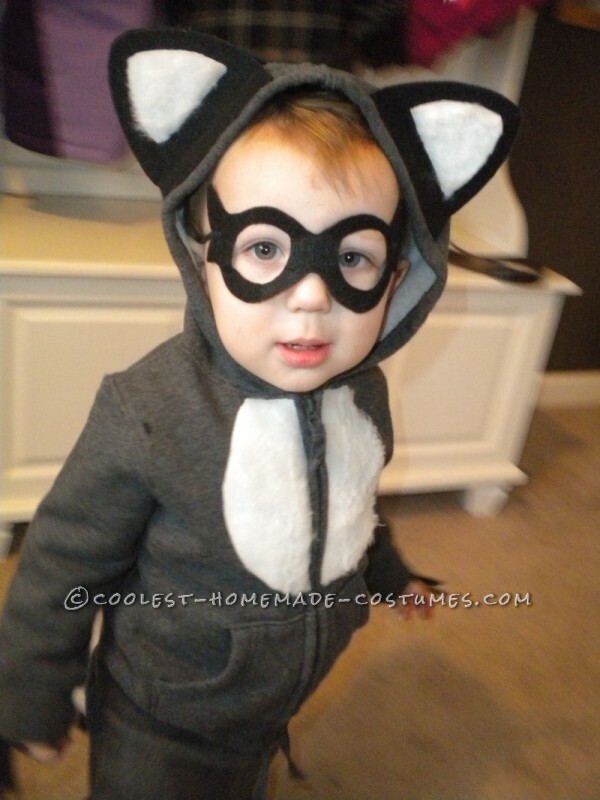 Meeko was easy enough, after cutting out the four paws, the ears and the chest we just had to glue it all on the sweatshirt. We made a mask using the same template as the hummingbird mask just without the nose. I am the type of person that once I start a project I like to finish it. I had in mind that this project would take an hour or two, that turned into 5 hours which leaves me with the finished project at 3 o’clock in the morning. Four and a half hours later my kids were trying on their costumes and to my surprise after sending a few pictures to the family everyone knew what they were! My kids were very happy and I am not ashamed to say that I was very proud of myself, battle wounds and all!